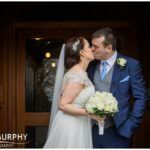 Edel and Pa were married in Newcastle West church and held their reception in the Devon Inn Hotel. 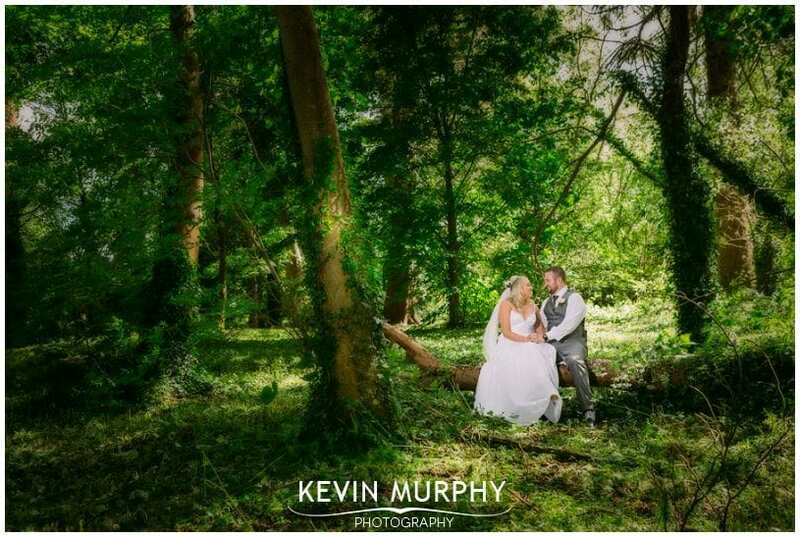 There is a quote by Arnold Newman that says “photography is 1% talent and 99% moving furniture” and it’s something that came to mind at Edel and Pa’s wedding. I was the photographer, but I was also a butler – helping get straws for the girls’ drinks that morning (thankfully not the same straws as the hen party!). I was also a traffic warden and a dress fluffer. 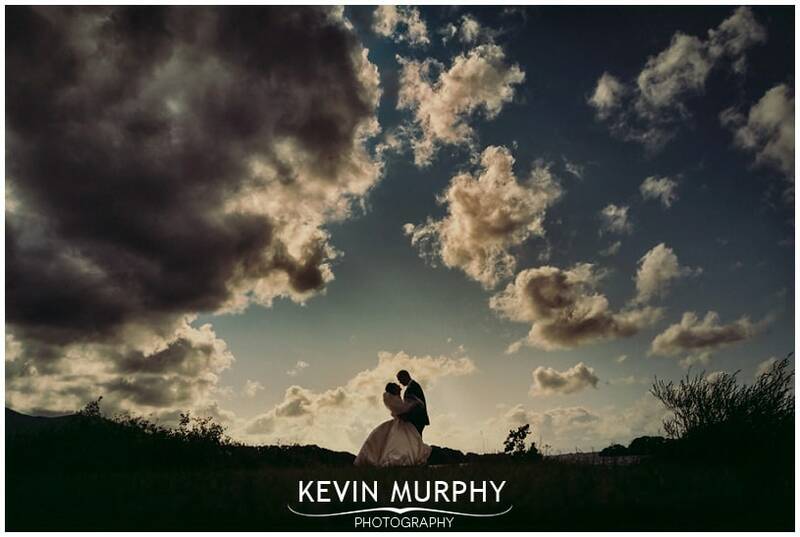 A lot of people come together to make a wedding happen, but the best thing about being the photographer is that you get to experience the whole day – from nervous preparations in the morning all the way through to careless dancing in the evening. 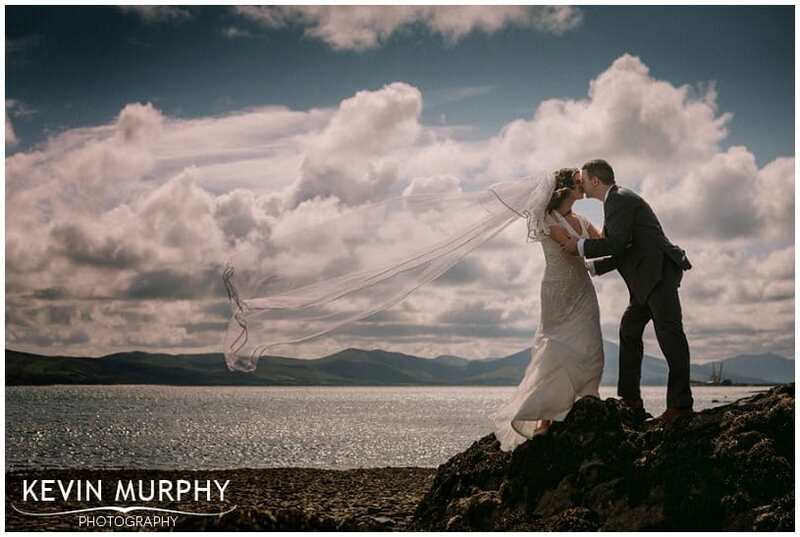 And Edel and Pa’s wedding was fun from start to finish – and I didn’t have to move a single piece of furniture! 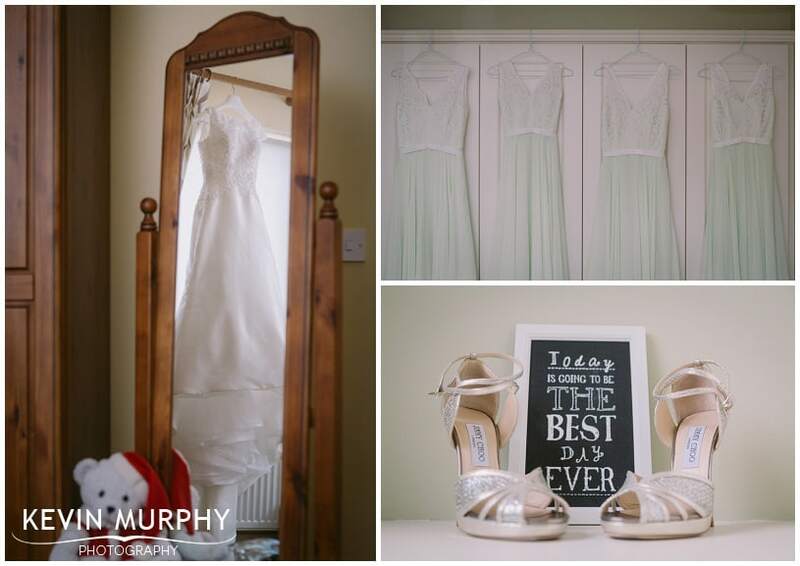 One of the nicest rooms I’ve ever photographed the wedding details in – bright and spacious and colourful. 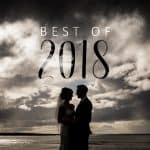 A custom wedding themed music playlist put together for the morning preparations. Paddy (Edel and Pa’s son) who was very excited to see his mammy that morning – almost as excited as when he got a new truck! The speeches – from the dramatic unfurling of Paddy’s speech to the stories Frances had been looking forward to telling for a while now! Fr. John (who had traveled all the way from Australia for the wedding) who delivered one of the best ever grace before meals. As a treat for the Australian guests, there was a display of Irish dancing after the meal. The highlight of which (for me) was when one of the young sean nós dancers blew a cheeky kiss to the bride! 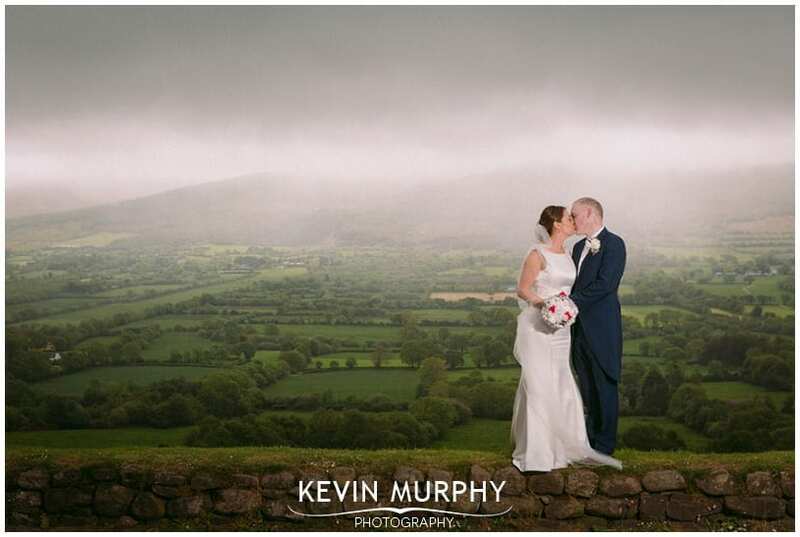 Caroline and Kenneth were married in Ardagh church and held their reception in the Devon Inn Hotel. 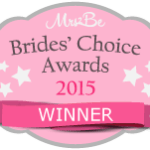 It was a wedding that was years in the making – and they certainly made use of that time with loads of personal touches throughout the day which made it all the more emotional. The t-shirt Caroline gave Ken as a gift that morning. Their wedding car, a 1986 Ford that Ken has worked hard on restoring. Witnessing the art of tying a tie backwards, then taking it off and putting it back on so that it’s facing the right direction! Magic. Zack the dog in his tux and top hat. The treasure hunt Ken sent Caroline – it was very emotional – just like the gift boxes Caroline had prepared for her bridesmaids. The heart signing frame Ken made for the reception. Brian (the best man) comparing the bride to their vintage car. It could have all gone terribly wrong – but it was genius! 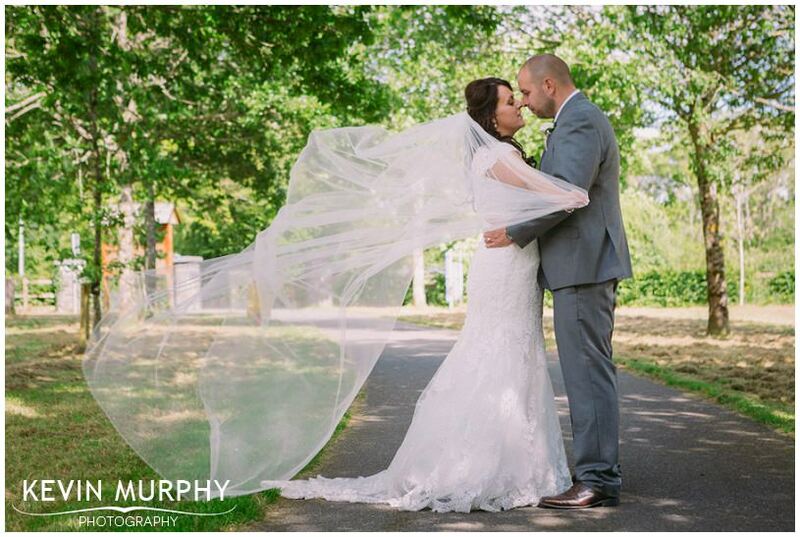 Danielle and Adam travelled home from Australia to get married in Limerick. 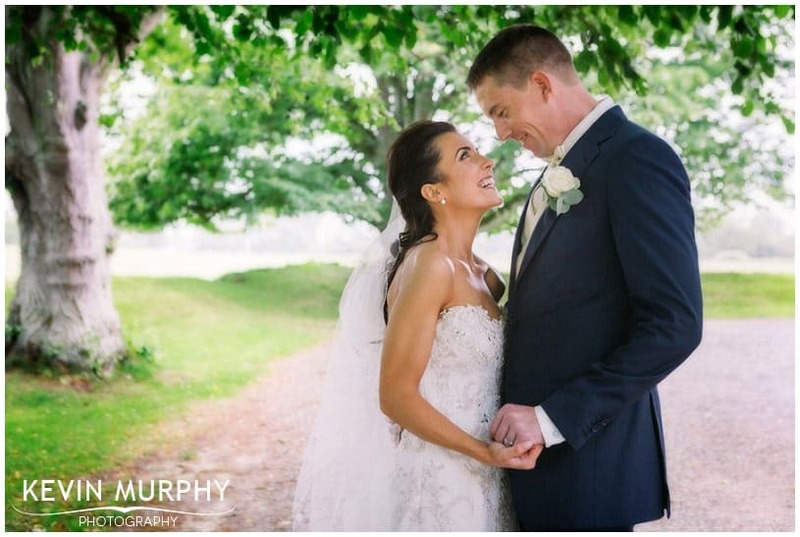 They were married in St. Munchin’s Church and held their reception in the Castletroy Park Hotel. Travelling with them was their son Evan who was all trained up and ready to pose for the camera the minute he saw me! 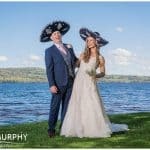 The sense of humour and fun all day long, not just from Danielle and Adam and their bridal party but their family and friends too. It was great fun. The cars, which were borrowed from Danielle’s uncle. Danielle’s reaction to seeing Evan all dressed up. Incorporating Adam’s brother Marcus into the photographs, who sadly passed away before the wedding. All of the guest singing along to the first dance song – gotta love a bit of David Gray! 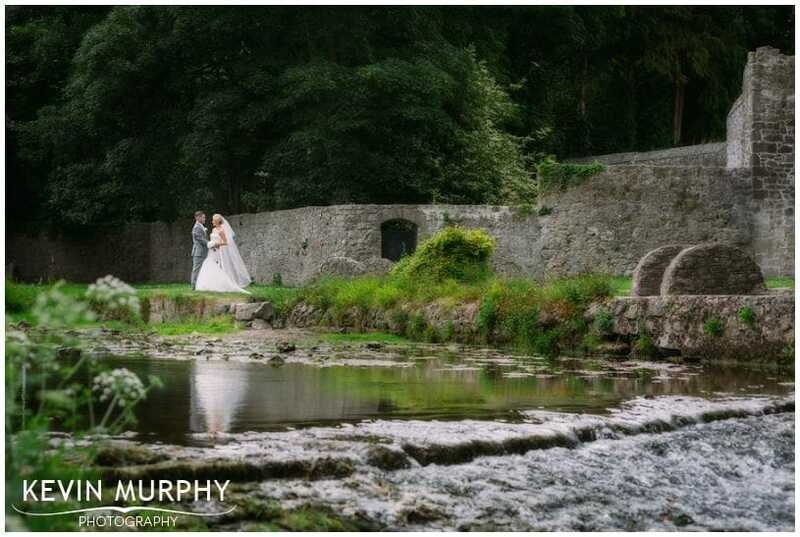 Aisling and Ryan were married in Emly church and held their reception in Ballykisteen Hotel. It was a day full of happiness and a lot of laughter – and unfortunately a lot of rain as well! 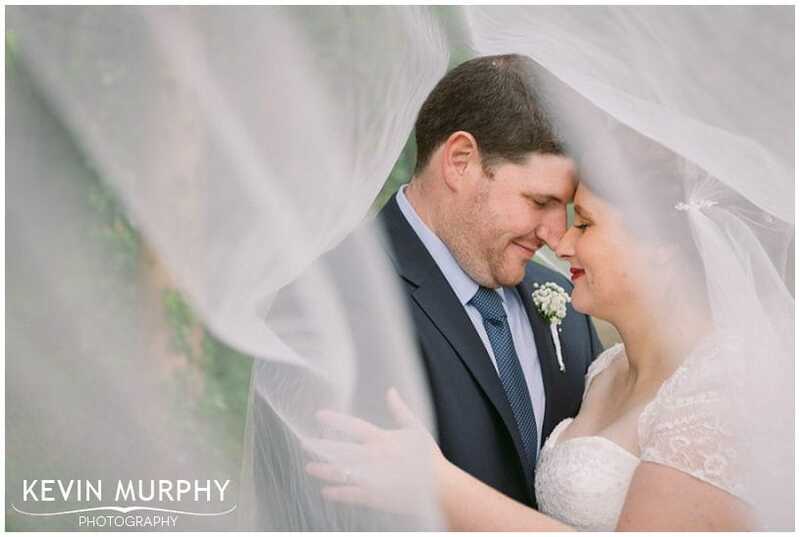 We were unlucky that every time we went about taking photographs outside it started raining – but big thanks to the bridal party for putting up with it for a few minutes as we passed the Glen of Aherlow, it was worth it! The role reversal as Aisling’s brother and father cooked a big breakfast while her mother put ribbons on the car. Ryan’s now famous chat up line to Aisling – “Do you like my new phone? It’s got everything on it – except your number”. Ah Kevin thank you so much for everything! 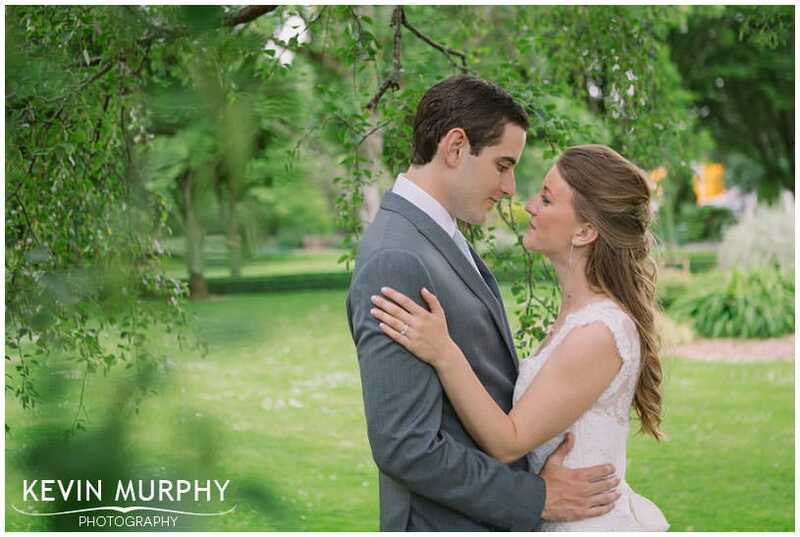 You absolutely made our day… it’s the first time I’ve ever heard gasps during a slideshow!! We were getting comments all night about the amazing photos you took – even more fantastic considering the challenging weather conditions you faced. 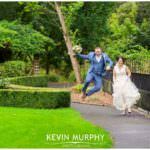 We couldn’t have wished for better – you were so professional, and great craic too, really made it so stress free for us, and I’m delighted as we will have amazing photos to remember our big day by. Kevin, thanks again for absolutely everything, you are amazing!